Portrait of an Artist (Pool with Two Figures) smashed the record price for a work by a living artist. A David Hockney painting has been sold for 90 million US dollars (£70 million), smashing the auction record for a living artist. Hockney’s 1972 work Portrait of an Artist (Pool with Two Figures) went under the hammer at Christie’s in New York on Thursday. It emphatically surpassed the previous record for a work by a living artist, which was held by American Jeff Koons for one of his Balloon Dog sculptures which sold for 58.4 million US dollars (£45.6 million) in 2013. British artist Hockney, 81, was inspired to paint the picture by two photographs he found on his studio floor, one of a swimmer in Hollywood in 1966 and another of a boy staring at an item on the ground. The painting shows two men, one doing the breaststroke under water while the other watches from the side of the pool. The standing figure is said to represent Hockney’s former partner Peter Schlesinger, whom the British artist met in 1966 while teaching art classes in California. 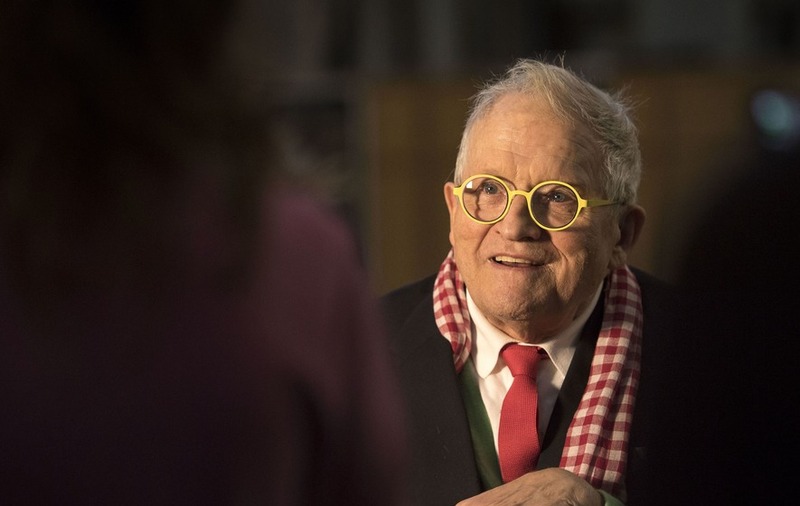 Alex Rotter, co-chairman of post-war and contemporary art at Christie’s in New York, told the Associated Press in September that it is “the holy grail” of Hockney’s work. He said: “It has all the elements that you would want in a Hockney painting.